To view part 1 of my story (Cherry Blossoms Exhibition in Flower Dome), click here. People leaning over what seems to be a 'wishing well' of some sort. Missed this the previous couple times I visited! Tourist kids having a good time posing for photos. Cute Gardens by the Bay Bears! 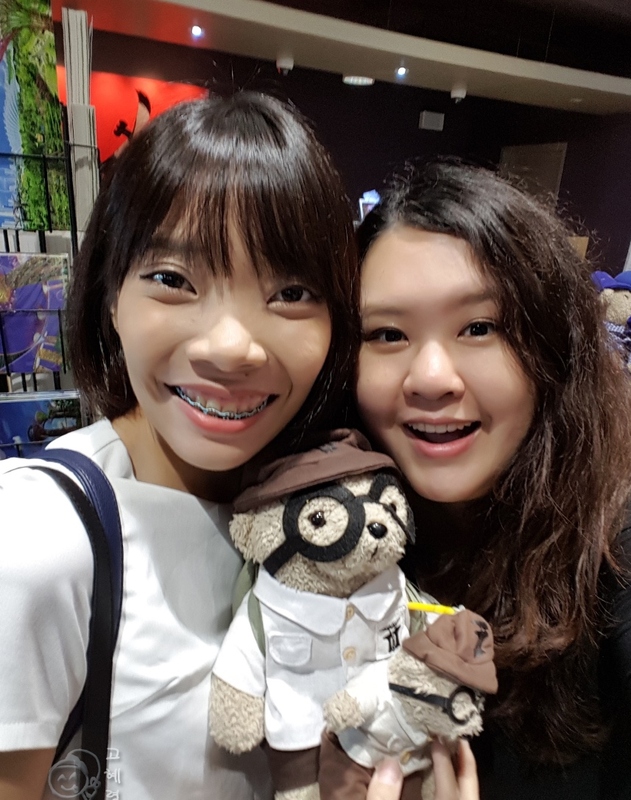 My same-birthday-sister loved the explorer looking bear, so we took the chance to wefie with with it! To learn more about Singapore's Garden By the Bay, visit their website here.